MISSOULA, Mont.—The Rocky Mountain Elk Foundation supports the confirmation of David Bernhardt as the new secretary of the Department of Interior (DOI). While serving as DOI deputy secretary, Bernhardt received input from RMEF and the Teddy Roosevelt Conservation Partnership ensuring that access for hunting, fishing and other recreation is considered for all proposals that would exchange or dispose of public lands. As acting secretary, he then issued a secretarial order making that a reality. As acting secretary, Bernhardt also issued an order prioritizing the implementation of a new public lands law that, among other things, reauthorized the Land and Water Conservation Fund, one of the nation’s more important programs aimed at conserving lands and improving outdoor recreation. As deputy secretary, he attended a gathering near Yellowstone National Park in support of RMEF and several other conservation organizations to celebrate the permanent protection of 549 acres of crucial elk habitat. A native of Rifle, Colorado, Bernhardt served as acting secretary, deputy secretary, solicitor and several other positions in the DOI prior to his confirmation. He also served on the Board of Game and Inland Fisheries for the Commonwealth of Virginia. 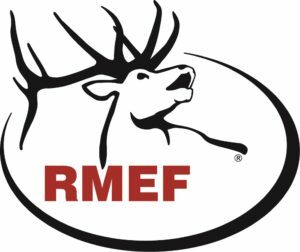 Founded over 30 years ago, fueled by hunters and a membership of nearly 235,000 strong, RMEF has conserved more than 7.4 million acres for elk and other wildlife. RMEF also works to open and improve public access, fund and advocate for science-based resource management, and ensure the future of America’s hunting heritage. Discover why “Hunting Is Conservation™” at www.rmef.org, elknetwork.com or 800-CALL ELK.